KFG Nature Notes is a series of fascinating nature tidbits posted regularly on our Facebook page. For all the latest Nature Notes and other KFG news, follow KGF on Facebook. With subtle colors suited to the earth tones of the desert, the Pyrrhuloxia is a beautiful resident of the American southwest and northern Mexico. Its odd name is a combination of two Latin words referring to its distinctive bill shape. Related to the sandpipers but strikingly different in habits, the rotund, short-legged American Woodcock hides in forests thickets by day, where it uses its long bill to probe in damp soil for earthworms. It's eyes are set far back on its head, allowing it to watch for danger even with its bill buried in the dirt! Males perform a remarkable "sky dance" on spring and summer nights, in a high, spiraling flight, with chippering, twittering, bubbling sounds. Orange and black Woolly Bears are often seen hurrying across sidewalks and roads in fall. Contrary to popular legend, the width of their orange band is not a good predictor of the winter's weather. 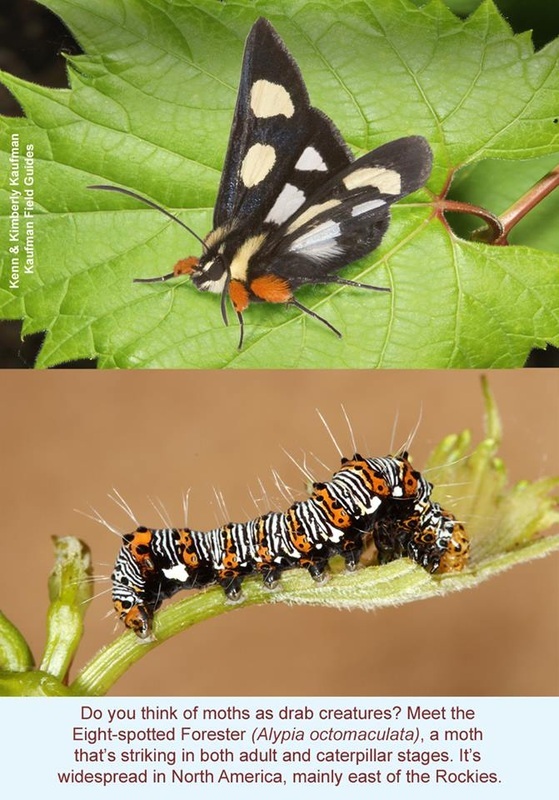 They will hibernate through the winter in the caterpillar stage, pupating in spring before emerging as the adult Isabella Tiger Moth. A birder's idea of putting some spice in your life ----> Cinnamon Teal, drake. in North America it occurs mainly from the Great Plains westward. Snow Buntings nest on tundra of the high Arctic all around the world, spending the winter in northern parts of the temperate zone in North America, Europe, and Asia. They live in wide-open habitats at all seasons, and wintering flocks are likely to be on beaches, lake shores, or open fields. Because they have thick, seed-crunching bills, they were formerly thought to be related to other buntings and sparrows. However, DNA studies have shown that Snow Buntings and longspurs make up a distinct family. Widespread in open country, Northern Harriers are usually seen gliding low over fields or marshes. Their flight looks slow, even lazy, but they can suddenly become agile and lightning-fast when they detect prey below. The image shows a female (L) and male (R). Adult males are sometimes called "Gray Ghosts" and this picture shows why! On a frosty morning, an American Robin waits impatiently for spring to arrive. Flocks of robins spend the winter as far north as southern Canada, but they are highly localized at that season. When the flocks begin to break up in late winter, many gardens will be visited by the "first robin of spring." Widespread in Canada, the U.S., and Mexico, Cooper's Hawk is normally a shy forest raptor, lurking in dense cover. It becomes bolder in harsh winter weather, coming into backyards and stalking birds at feeders. Separating this species from Sharp-shinned Hawk can be a challenge; we devote a whole chapter to these difficult Accipiter hawks in our KFG to Advanced Birding. birds may get the moisture that they need by eating snow, as this female Northern Cardinal is doing. The Orange Sulphur originally was native to western North America but it spread eastward, beginning in the 1870s, following widespread cultivation of alfalfa, a favorite food plant for its larvae. Orange Sulphurs are now abundant as far east as the Atlantic Coast.